Standard bike locks are often heavy and bulky. Not something that’s easy to carry with you while riding a bike. 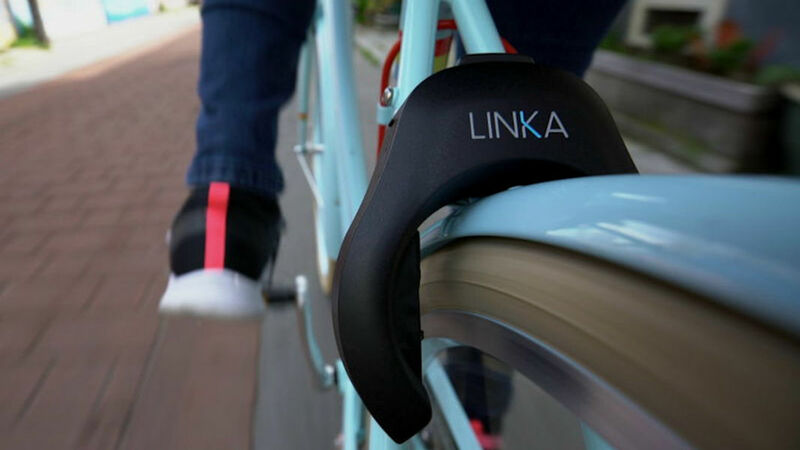 The Linka Leo however, is unlike a your average bike lock. The design is pretty compact compared to most of the locks that are commonly used by bicyclists and it has smarts to boot. The size and design makes it very convenient to use in order to protect your expensive bike. It makes sense to have a smart bike lock when you consider that smart locks have become standard on most cars today. The Linka Leo attaches to the rim above your rear wheel, and looks alot like the old brakes that you used to have that wrap around the top of the wheel. The lock stays there, whether the bike is moving or parked. No need to carry it. When you park it, a steel bar goes from one side to the other, through the tire, locking up the bicycle easily. The locking mechanism can be controlled through a smartphone app, so you can lock or unlock your bike from anywhere. The Linka Leo is durable and up to the task and the battery will last for 2.5 years and can be charged in under 3 hours. The Linka Leo will be available in spring of 2018.